The M380 1911 X-Grip slides over the 7RD factory .380ACP magazines with metal floorplates for use in the Colt Mustang and Sig P238. 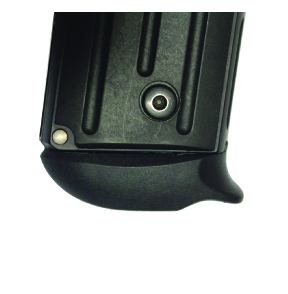 Enhances firearm ergonomics and improves comfort, control and accuracy. Overall quality seems to be first rate. It was easy to install, looks good on the magazine and has a much better profile for concealed carry. Gripe is only one and only reason for not making the 5th star... obviously designed for the Sig as it’s fit to my gun is not cohesive. Kind of minor and has nothing at all to do with function. Just me being me. That being said, would buy another without delay if the need arosee.